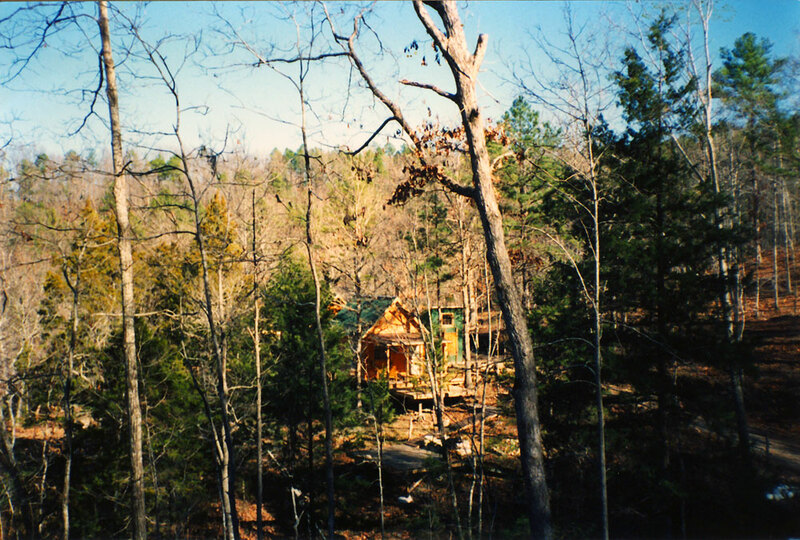 Long view of cabin No.2 in the winter. The overstory trees in this part of the Ozarks consists mainly of Eastern Red Cedar, Yellow Pine, American Sycamore, Gum, and several varieties of Hickory and Oak. The most common understory trees are Dogwood, Redbud, Serviceberry, and further down in the hollow its common to see Witch-hazel and Pawpaw. 1990, scanned color print, 3 x 5 in. (7.62 x 12.7 cm). Ozark Series. © 2008 by Allen C. Benson.